Most of you probably know that I love to garden. I haven't had much opportunity to do it in the last few years so I get my "gardening fix" by watching programs and Netflix and Amazon Prime Video. 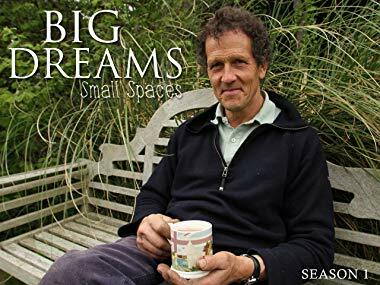 One of my favorite gardening TV shows is Big Dreams, Small Spaces, a BBC series featuring Monty Don. Monty—I call him Monty because he seems like an old friend—was honored a couple of months ago with the OBE, Order of the British Empire, given to him by Prince Philip. I've watched Big Dreams, Small Spaces multiple times as well as dozens of Monty Don's YouTube Videos. Of course, if you love to garden, you'll love this show where Monty works with homeowners to turn their utterly horrible yards, or gardens as they say in England, into beautiful spaces anyone would be pleased to have. 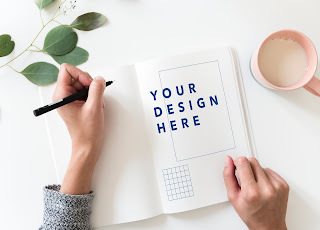 No matter how small the space, Monty and the homeowner seem to come up with a plan to have winding paths, water features, herb gardens, flowers, vegetables, and more. Along with stressing the importance of having a plan, Monty gives advice on what grows well in what location. Actually, whether you're a gardener or not, you'd probably enjoy Big Dreams, Small Spaces. There's something relaxing about it—one might say soothing. I'm pretty sure if someone felt anxious and stressed, he/she could watch this show and feel the stress evaporate. Whether you like to garden or dream of doing it one day, watch Big Dreams, Small Spaces which will inspire you to grow something—even if it's just a pot of mint in a sunny window.